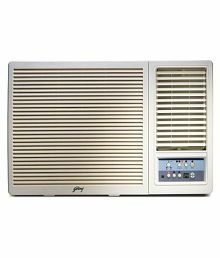 Here are top selected products for "Air Conditioners"
Air conditioners - Tame the rising mercury levels this summer in a super cool way. The best way to get relief from the terrible heat is to relax with an air conditioner in your room or office. If you have planned on buying air conditioner, search no more as you have come to the right place. Here at Snapdeal, you can buy a split AC, window AC or an inverter ac at reasonable prices and check for exclusive deals & offers for great discounts. 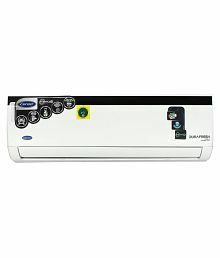 You can choose air conditioner models from best brands like Samsung, LG, Voltas, Haier, and others. You can control the indoor temperature with air conditioners. Having air conditioners in the house is extremely comforting for children and adults alike. Moreover, elderly people are unable to bear the heat as well. Humid days and sleepless nights due to heat can take a toll on one's health. So, be it for your home or office, buying an air conditioner is no longer difficult. You can select the air conditioner type that you prefer. For smaller rooms or for apartments with space constraints, a window AC conditioner is ideal. They take up much less space on the wall and cool the room fast. Split AC can be installed in bigger apartments without any hassle. The air conditioners available at Snapdeal are feature-rich and at the same time extremely attractive. You can conveniently set them up anywhere and they will enhance the appearance of the place. If you have a party coming up and need an air conditioned venue, you no longer have to book a banquet hall. With reasonably priced ACs, you can comfortably buy one for your hall and enjoy the party at home. Most air conditioners these days are energy efficient and loaded with attractive features that provide comfort and cool the surrounding really fast. 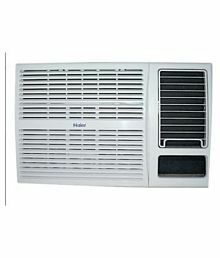 For an AC with high cooling capacity, a window air conditioner is suggested. However, this type of AC can only be installed in rooms which have windows. With the huge range of AC's available, you can now choose one that suits you most. The air conditioner price range is affordable, so you can easily buy one for your room. Air conditioners like Voltas 1.5 ton 3 star 183 EYI Split AC, from popular brands come with a manufacturers warranty. Therefore, you do not have to worry about after sales service. To beat the heat in summers, buy air conditioners online at Snapdeal today. Which brand is best for AC? Which is the best 1 ton AC? What is the cost of 1 ton AC? What is the price of 1.5 ton AC? What is the best AC to buy in India? 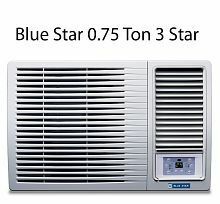 WINDOW ACs by Star Ratings - 1 star window ACs, 2 star window ACs, 3 star window ACs, 4 star window ACs, 5 star window ACs. Download Snapdeal app now and get exciting app only offers at your fingertips.